This image is part of a personal project I've been working on for some time. Without spoiling too much of the background story, the title of the image applies to the city's status among several other underground villages. 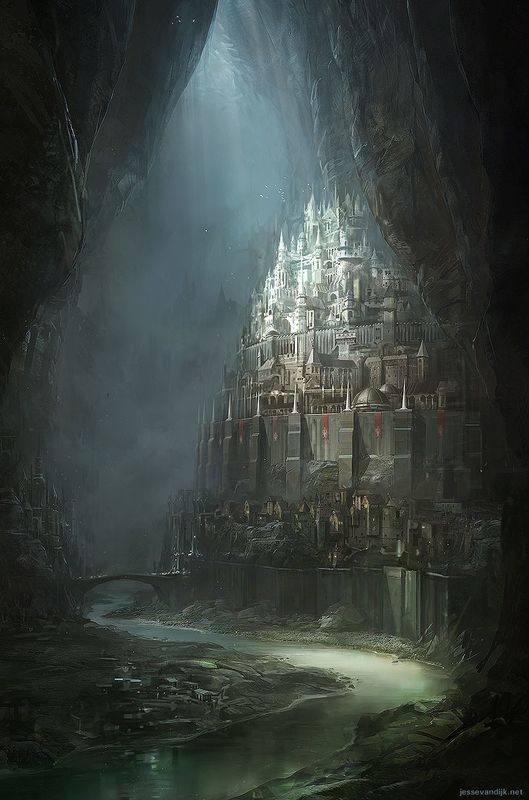 It's the capital of an 'archipelago' of huge underground caverns, which is why it's referred to as the Netherworld, even though it is technically above sea level.